Welcome one and all to Pod People! Today it’s all about the Jim and Zope Cast from locals Jim Backus and Bobby Zoppelt, the guys too ugly for YouTube. Expect awesome stuff like Top 5's, News, Tech Suggestions, Celebrity Guests, and Opinions that you might not want to hear. Chapter 14: Don't Call Me Jimmy! 3/16/15 - This week, the guys talk about New Orleans, their TOP 5 Video Games for Nintendo, and Comic Book Movies! All views expressed in this podcast are the views of the hosts. Music Credits: VOLBEAT - I Only Wanna be with You. 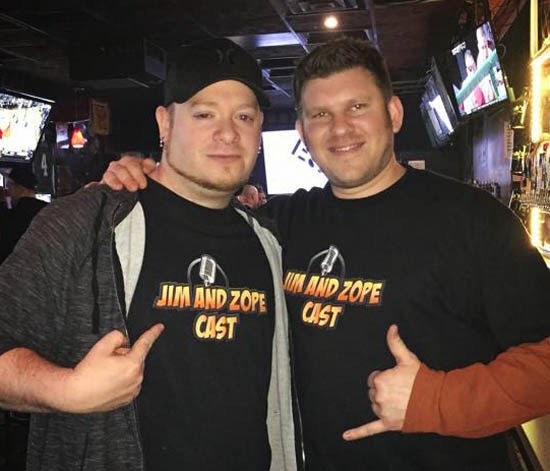 Don’t forget to check out the Jim and Zope all over the web at their Facebook, Twitter, and Podcast Garden pages!